Knee injury - what now? Athletes with pain and injuries of the hip can be helped by minimally invasive surgical treatment. "For a long time athletes' problems were neglected. 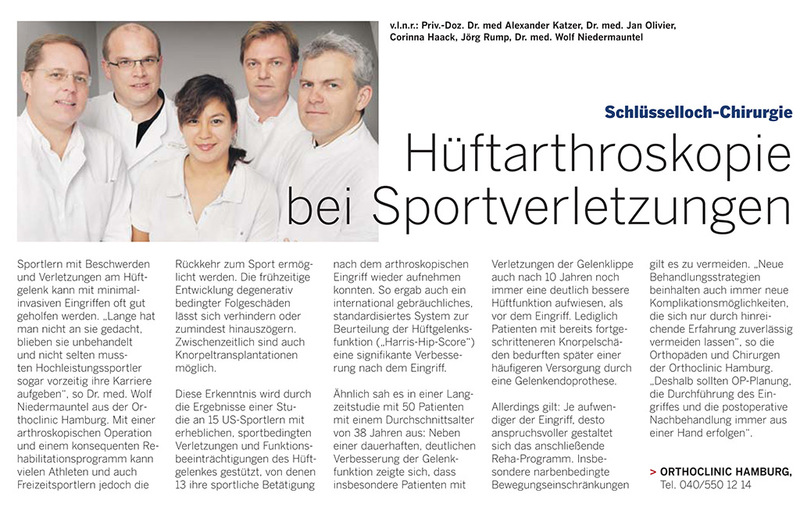 They often remain untreated and as a result top athletes are frequently forced to end their careers prematurely," says Dr. A. Katzer of the ORTHOCLINIC HAMBURG. Back pain is no longer a problem which affects only adults. More and more children are suffering from posture damage. 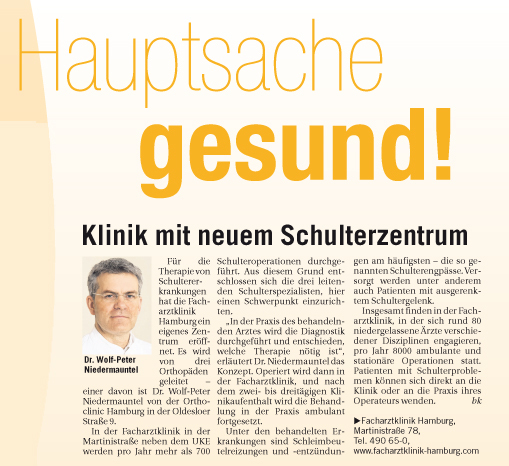 The Facharztklinik Hamburg has opened its own centre for the treatment of shoulder diseases. 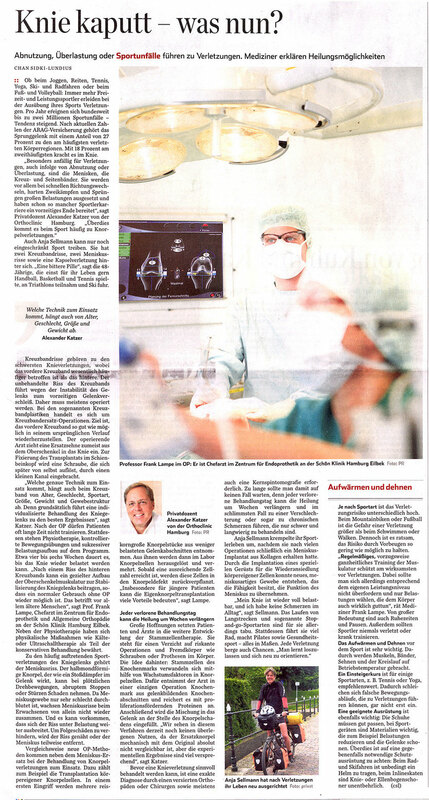 The centre has three orthopaedic specialists as medical directors - one of them is Dr. Wolf-Peter Niedermauntel of the Orthoclinic Hamburg in Oldesloer Straße 9.